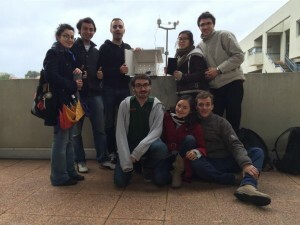 “The main point of Climed is to make students more aware of the environmental problems in the Mediterranean. Climate change is a reality which could directly impact their future professional activity and political and economic life” - Olivier Boiron, director of the MESN. “The Climed project gets together engineering students as well as architecture, agronomics and marketing students. This wealth of different backgrounds is a major asset to achieving this project. Beyond collecting data, the students are going to carry out meteorological forecasts and analyse the incidences of different climatic events. Eventually, this work will enable us to raise population awareness to climatic and environmental problems."